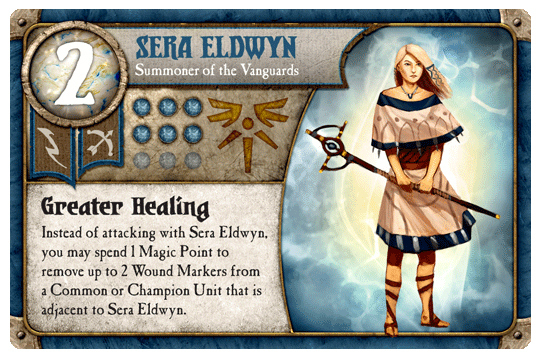 Summoner Wars Update – I Feel Like Beyonce…Plaid Hat Upgraded Me! 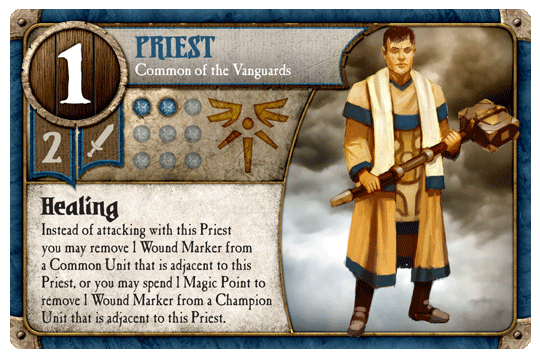 You all know that I love Summoner Wars from Plaid Hat games, so when the opportunity arose to pimp out my game by getting the Vanguards, Fallen Kingdom, and Premium Board, I was all over it. The day I got them back home from Gencon, my daughter and I were laying out the board and ready to wage war upon one another, summoning not just new units on a fresh, new game board, but also summoning such smack-talk as “oh, man…that had to hurt! Not only did I waste your Common, I transformed him into a zombie!” There’s a whole lot new to the game now that the new factions are out, and I, for one, welcome our new Summoner masters. The new stuff is friggin’ awesome, and that’s that. I can also share that I finally beat my daughter at the game, using my new love, the Fallen Kingdom against her Tundra Orcs! w00t! Let’s talk about the premium board first. It is magnificent to play on, especially after playing on the paper mat for so long. There’s no more humps to navigate from the folds in the paper, and the cards glide across the board like an olympic ice skater. I wouldn’t have thought it would’ve been such a game-changer, but for me, it really was. I hated that paper mat with at passion, and I always thought that although it’s really nitpicking, it was the weakest part of the game, if any weakness could be found. No longer. 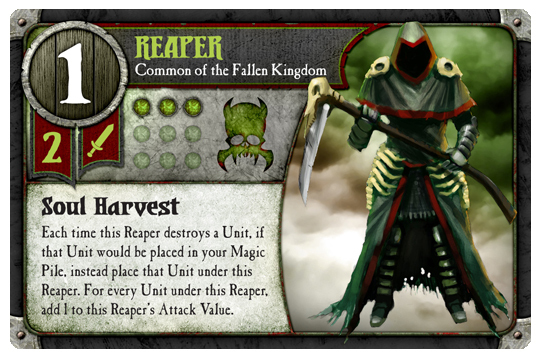 This premium board puts Summoner Wars up there with every other large-press publisher, and I am absolutely pleased as punch. 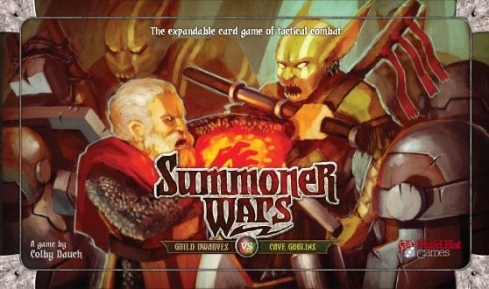 In my mind, this is an absolute must-buy to get Summoner Wars to the next level. Tom Vasel was right…one of the best games of 2009. 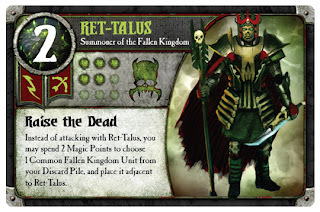 Now let’s talk about the new factions, because they rock, and one is so awesome that I suspect Ret-Talus, the Fallen Kingdom Summoner, will be considered a fan favorite for years to come. 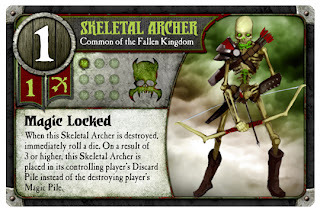 The Fallen Kingdom is the Undead faction within Summoner Wars, and it comes with all manner of dark creatures such as Skeletal Archers, Zombie Warriors, Reapers, and a slew of new Champions. All of their powers work very well together, and this is without a doubt my new favorite faction. Besides having what I believe to be the best art Summoner Wars has produced to date, the total change in gameplay abilities really sets these guys apart. They’re not overpowered or broken, but they play so much differently than the other factions that it truly is a new way to play, which is what expansions should do. Even the Event cards are totally tuned to the Fallen Kingdom, making it a great, well balanced, well designed new deck. 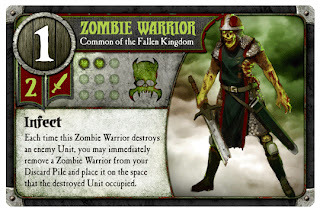 I may be forced to go out and buy two or three copied of this deck just to fill my ranks with Zombie Warriors…they’re just that good. Next, let’s take a look at the goodie-goodie Vanguards, the “Paladinesque” faction that was clearly created as a counter to the vile forces of Ret-Talus. 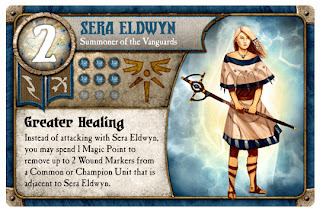 Led by Sara Eldwin, the Vanguards have a lot of very useful powers such as the Priests’ healing ability, the lock-down ability of the Guardian Knights, and the abilities of their Champions to stomp the hell out of opponents and hurt them deeper than just killing a unit. 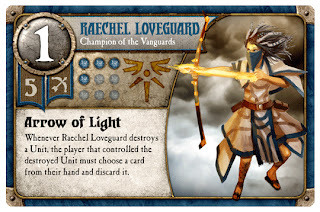 Raechel Lovegood, a Champion of the Vanguards, not only kills opponents’ units with ranged attacks, but when she does kill an enemy unit, she forces the opponent to discard a card from his hand. The focus of the Vanguards appears to be that they are built with the idea of retaining their units rather than using them for sacrifice plays. 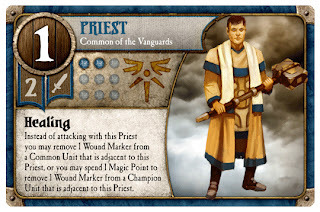 The Priests, when paired with Guardian Knights, are a nasty combination as they both have multiple hit points and the Priests can hang back behind the Knights, healing them as they go while the Knights protect the Priests from being attacked. Pair that with the Event cards that buff the Priests’ attack value, and you have a very powerful front line. The Stalwart Archers, the other Common of the Vanguards, can sit back in groups and for each adjacent Archer they get a extra attack die. It’s a powerful combination that truly represets medieval warfare, with Knights leading the charge while being covered by deadly Archers. 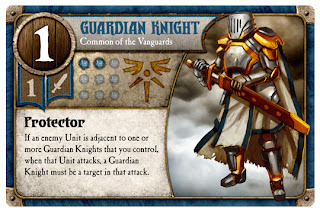 All in all, these new factions both bring something to the game, and the new premium board elevates this game, in my mind, to the same level of quality that FFG or AEG might produce. 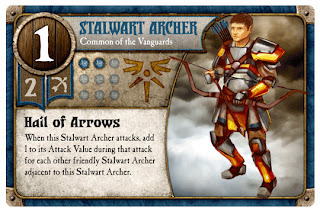 The art can be a little lackluster on some of the older cards, especially the Dwarf deck, the new stuff has completely changed my opinion. I can’t wait to see the new stuff Plaid Hat is coming out with because the trend is that they are getting better from both the design aspect as well as from the art perspective. 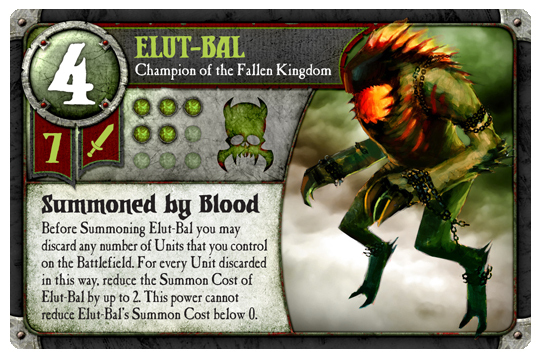 God help my wallet if they ever come out with a miniatures game!! !